Unless you are one of a few devout underground music fans, the group Portugal The Man probably hadn’t passed by your ears prior to 2017. Last year, they burst upon the scene with their hit song “Feel It Still” and this band from Alaska became a common name among millions in America.Any guesses why? For decades, successful marketers have been using music to drive their messaging. If you’re my age (spoiler alert – I’m in my 50’s), you remember Heinz Ketchup using “Anticipation” and Coca-Cola worked to “Teach the World to Sing” in their TV commercials. Whether the music is original, re-purposed for a specific reason, or picked because an ad person likes it, the fact is many of the commercials we remember are aligned with music that sticks in your brain. 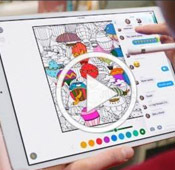 With this particular iPad Pro campaign, Apple, a technology powerhouse pulling in billions of dollars every year, became a vessel for the worldwide fame of Portugal The Man (which is actually a whole band). The funny thing is, this band has been playing music together since the early 2000’s. Hardly a new act, Portugal The Man had already made a name on the festival scene and was being recognized through their years together for their abilities. They just didn’t become a “household name” until June of last year when Apple used their song in a TV commercial. I remember watching the iPad Pro commercial and thinking, man, that’s a fun song. Shortly after, I began hearing it on obscure radio stations. It wasn’t long before it was everywhere and being played repeatedly. It peaked at #4 on theBillboardHot 100 songs at one point in 2017. Imagine that – a catchy tune, combined with clever video and a creative concept, executed by a trendsetting company that makes really cool things. Sounds like a recipe for a winner. And it was for both Apple and Portugal The Man. Your organization may not have the kind of pull to launch a band into fame. What it does have, though, is the ability to choose original or special music to drive your next big campaign.